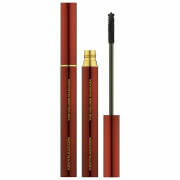 Enhance your eye contour with the RevitaLash Deluxe Lash Curler and Mini Mascara Kit in Raven. 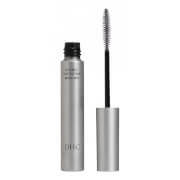 The set provides the brand’s signature curling tool with a high-performance mascara, which work in perfect harmony to leave your lashes looking thicker, lifted and volumised. Enriched with strengthening Biotin and Panthenol, the smudge-proof mascara coats each lash with clump-free, intense colour pigment that defines and separates for maximum fullness. To amplify natural curl, the eyelash curler features cushioned pads to protect from creases and ensure an even curl. Used in combination, the pair leave you with a natural looking flutter that defies gravity. Step 1. With curler in open position place lashes between silicone pad and curler getting as close as possible to the base of the lashes, then squeeze the handles of curler together, clamping down on lashes and hold in place. Step 2. Release the curler and immediately apply Raven Volumizing Mascara, wiggling at the base of the eyelash and twirling upward and outward. 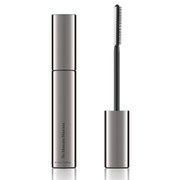 For a natural look apply one coat of Volumizing Primer and immediately follow with your Raven Volumizing Mascara shade while Volumizing Primer is still wet. For a more dramatic look apply two coats of Volumizing Primer, allowing it to dry between coats, then apply one to two coats of Raven Volumizing Mascara. Step 3. Remove with soap and water or eye makeup remover.